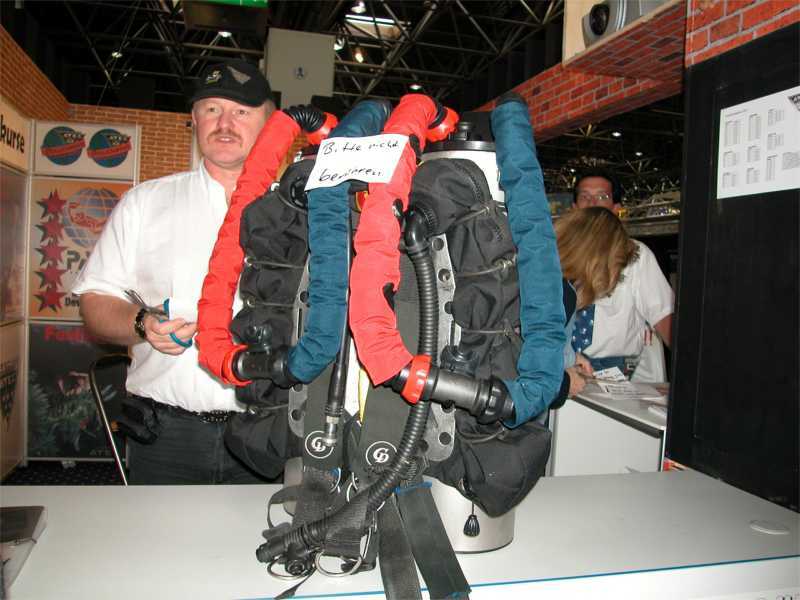 Here is a photo collage of my visit to BOOT 2003. 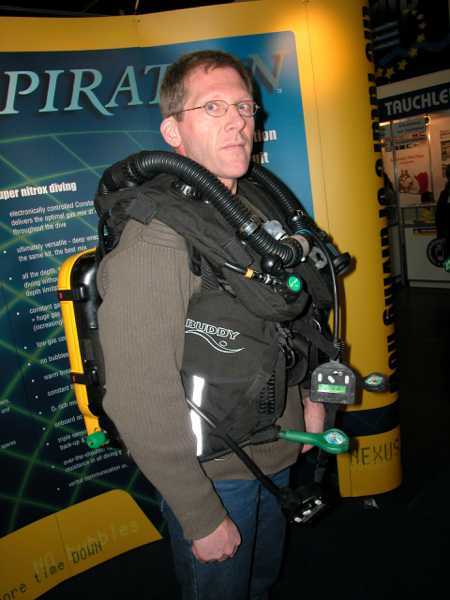 Generally quit interesting for rebreather interested people. 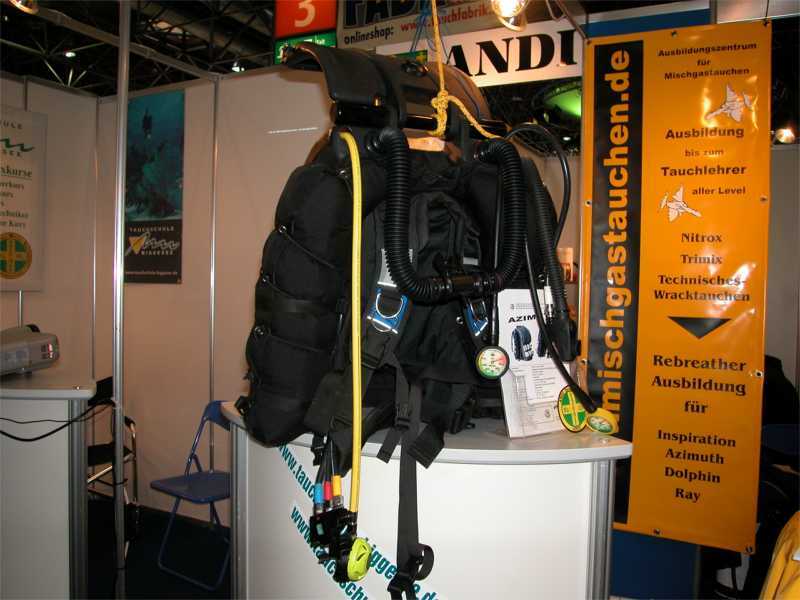 APD showed there new APD-ADV and the Evolution. 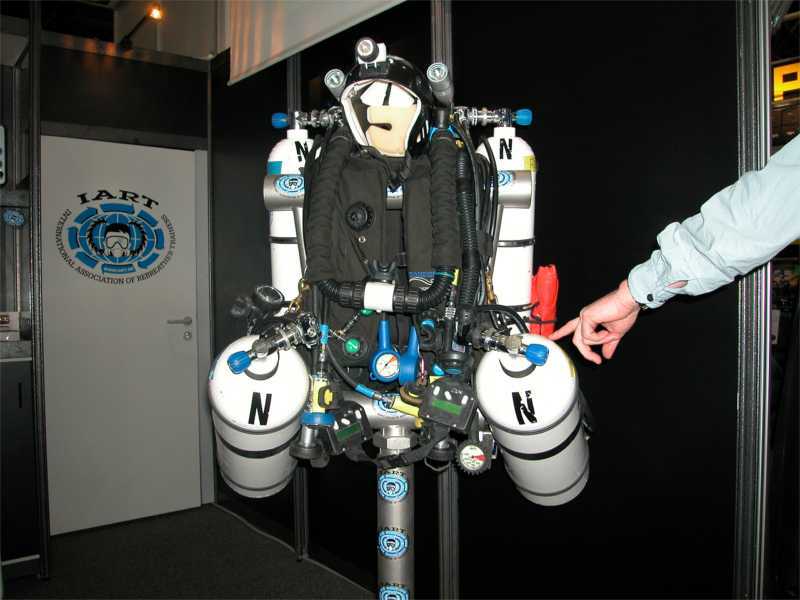 Martin P. told me some extremely interesting developments on CO2 measurement and on real-time deco computing build in the Inspiration. 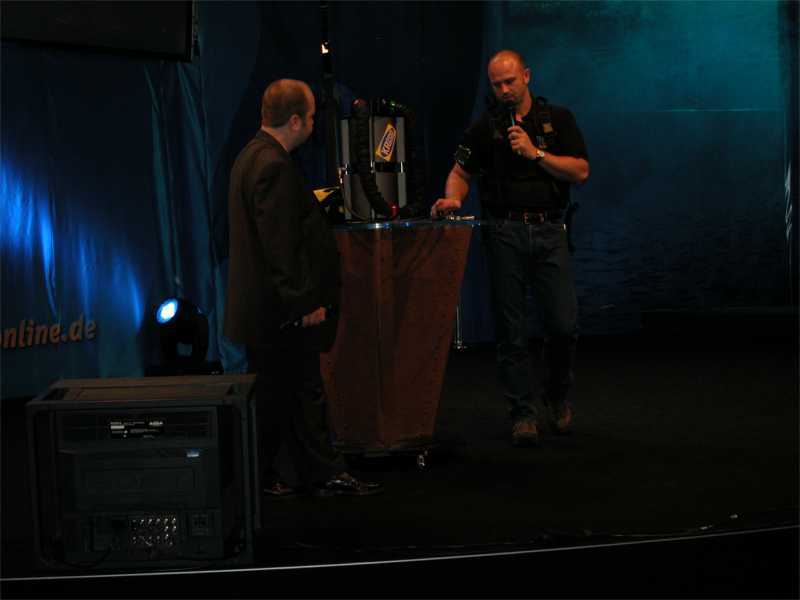 Please realize that this talk was just informative. 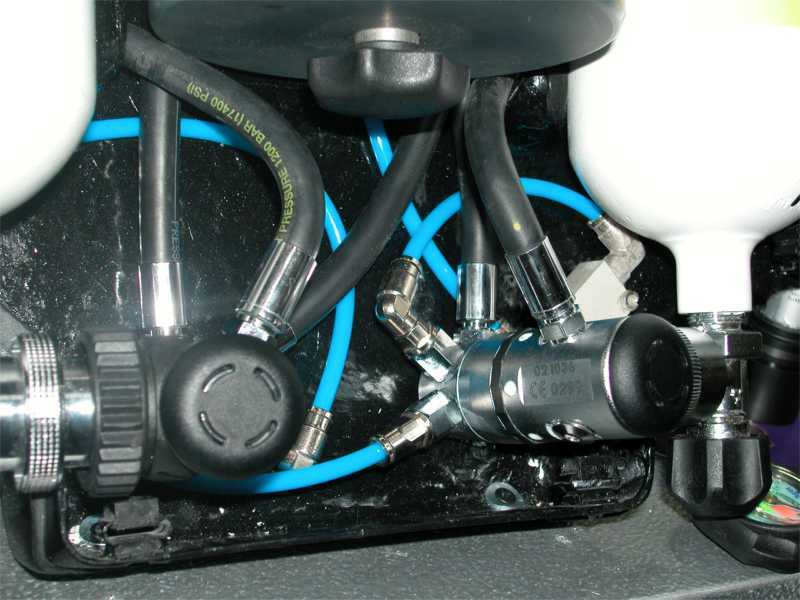 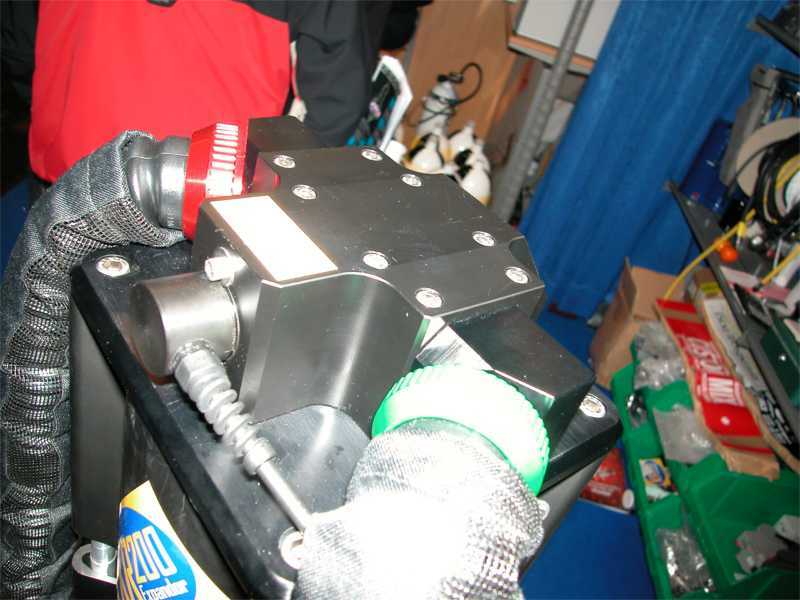 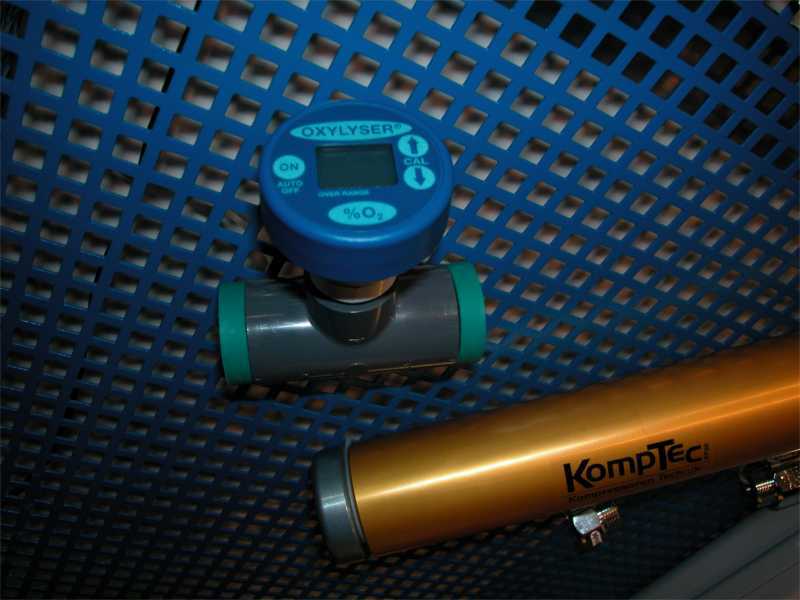 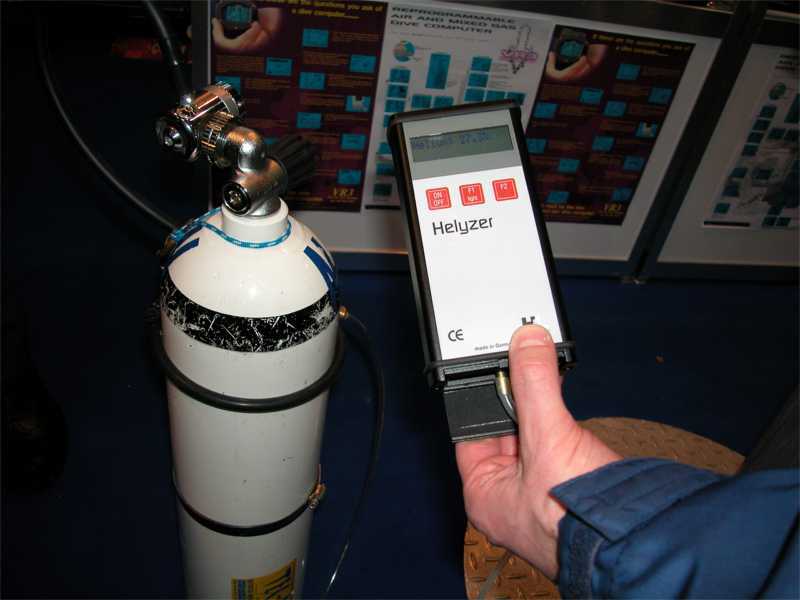 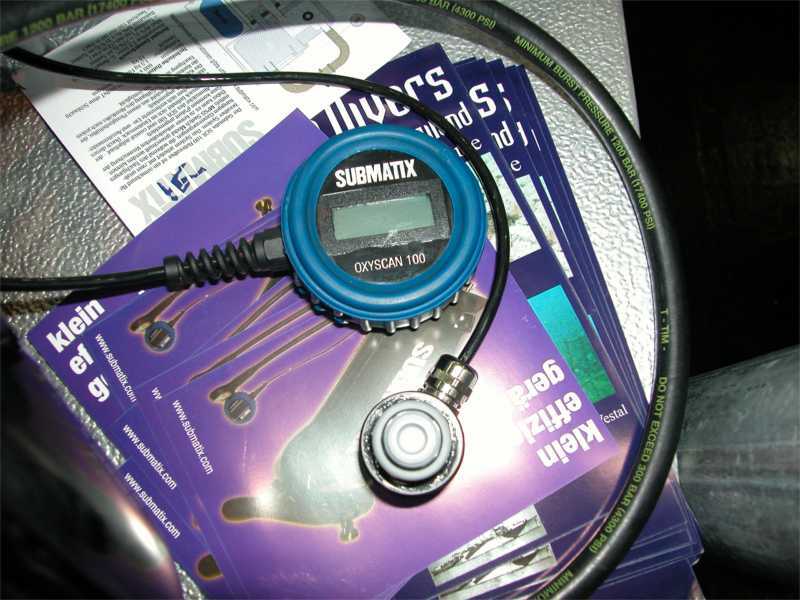 The CO2 sensor is a goal for many Rebreather designers and is not simple implementation. 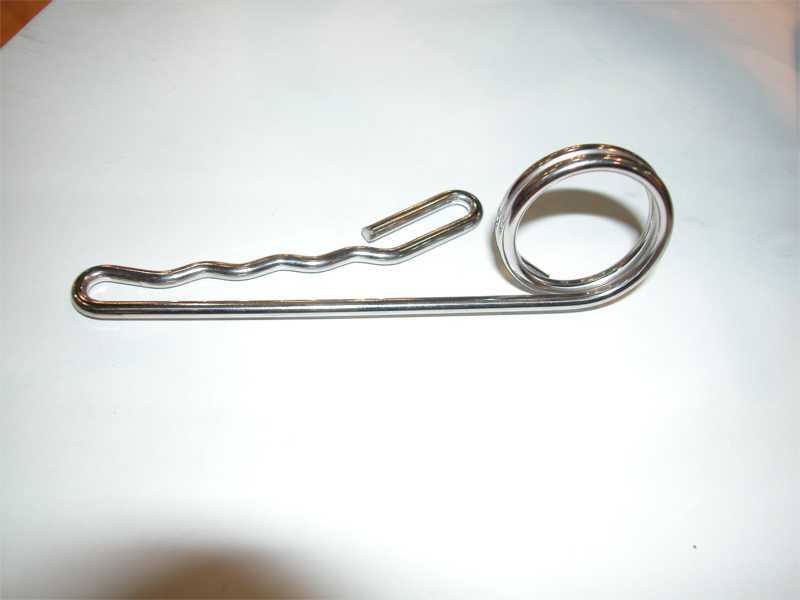 As we al know APD is not taking the short road, and only sells items with there quality mark. 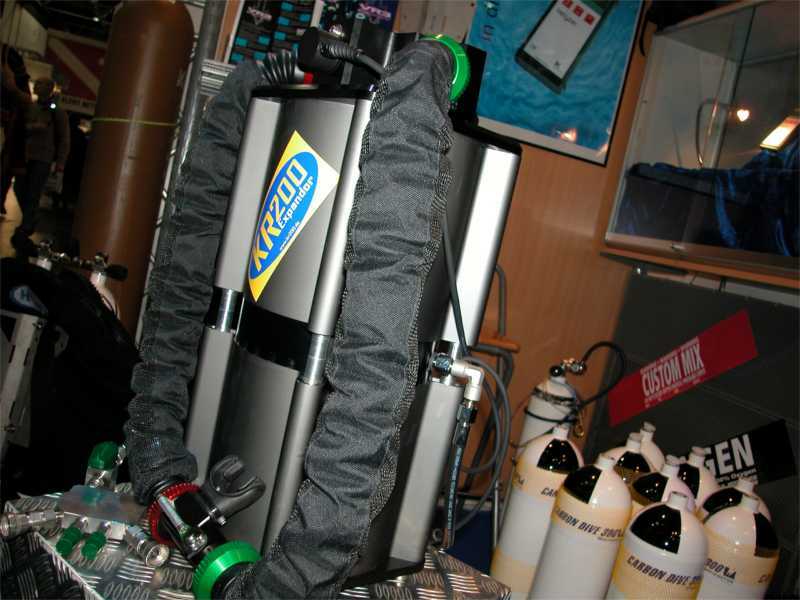 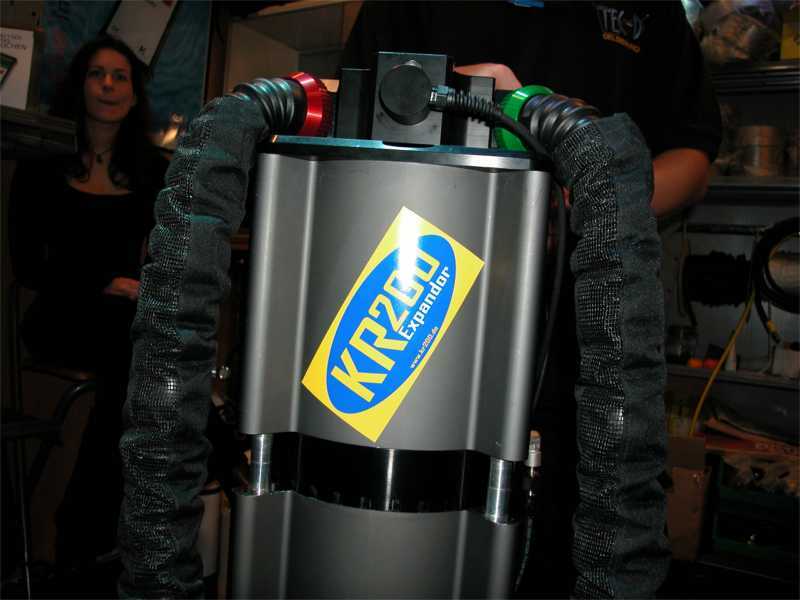 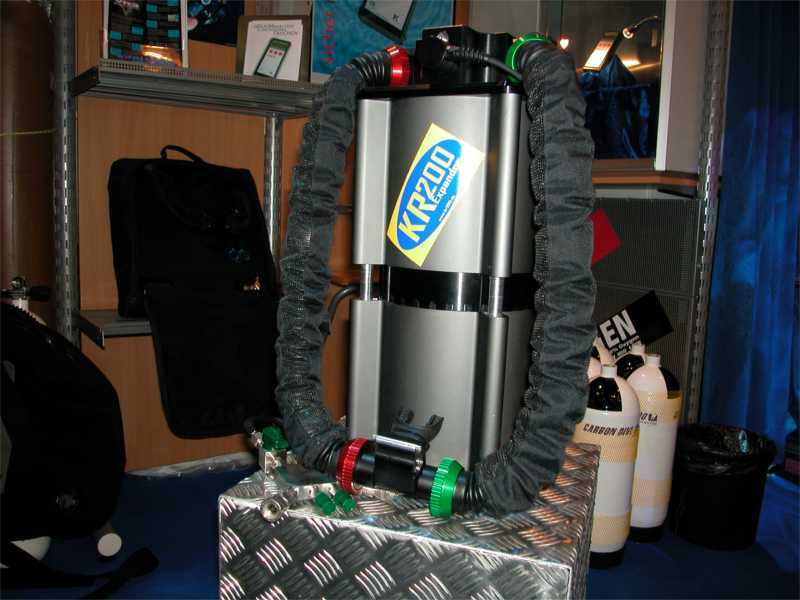 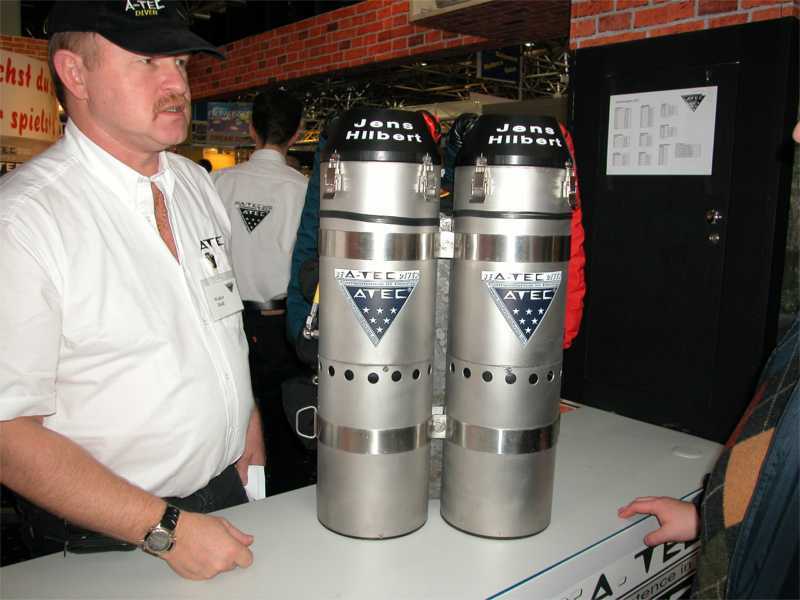 Another novelty was the KR200, a beautiful Semi closed Passive addition rebreather with a extremely nice design. 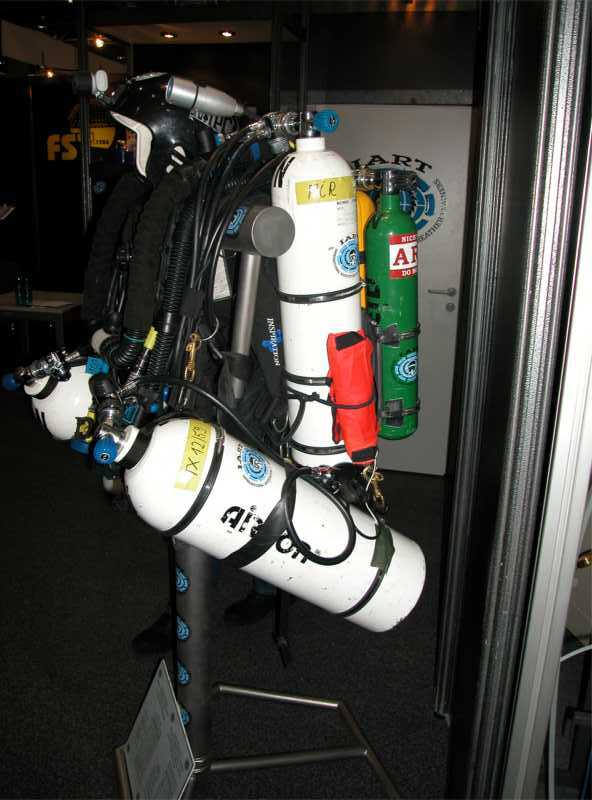 You will find details on this rig on this page, and later on www.KR200.de. 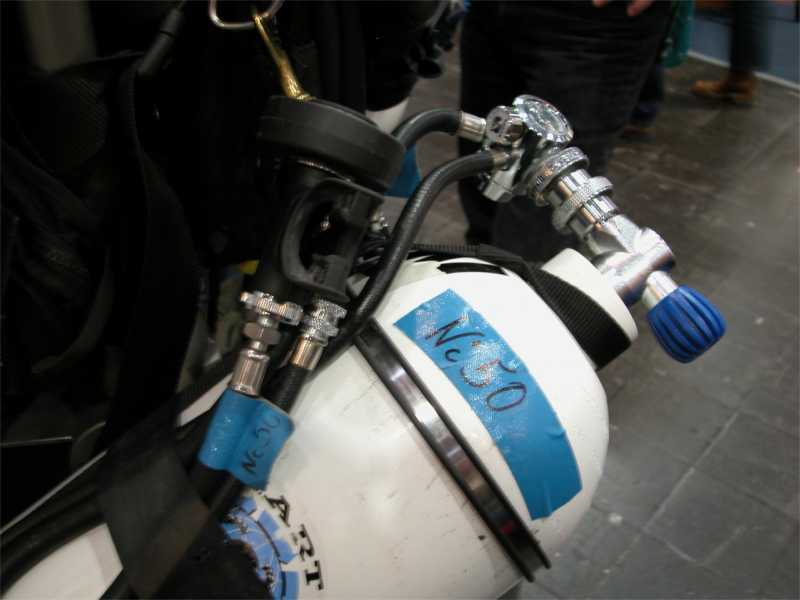 (still on progress). 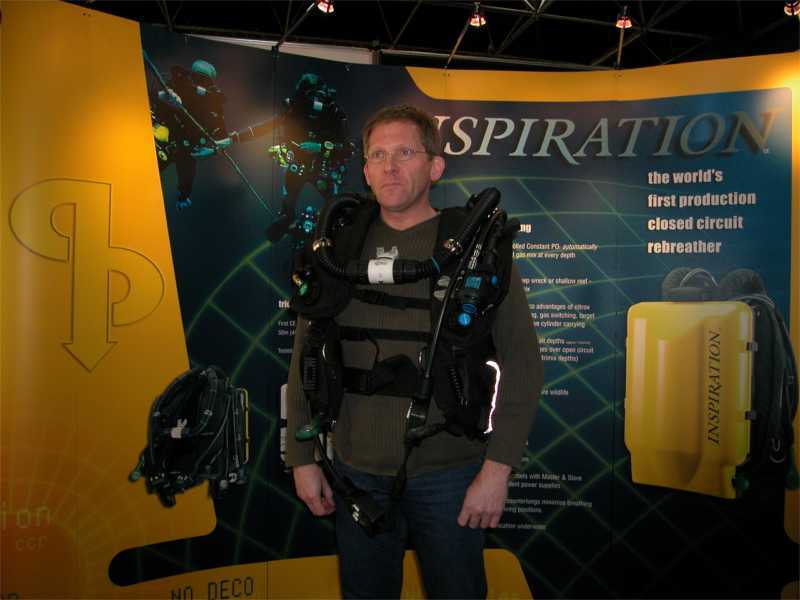 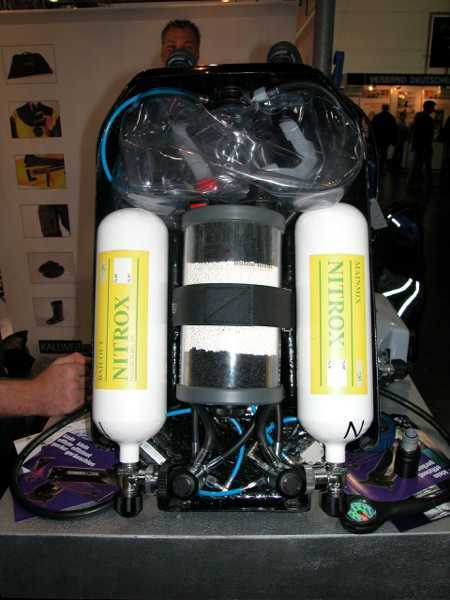 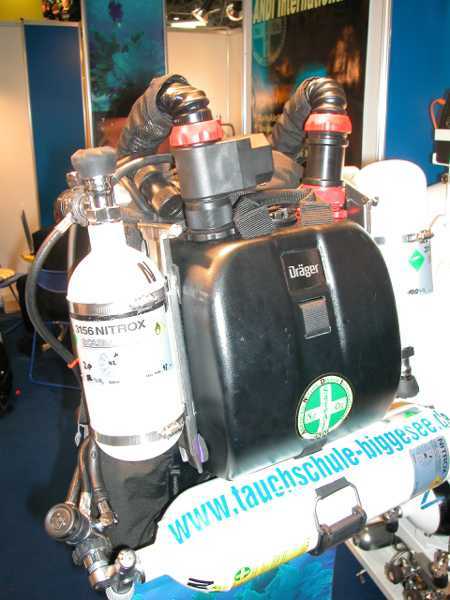 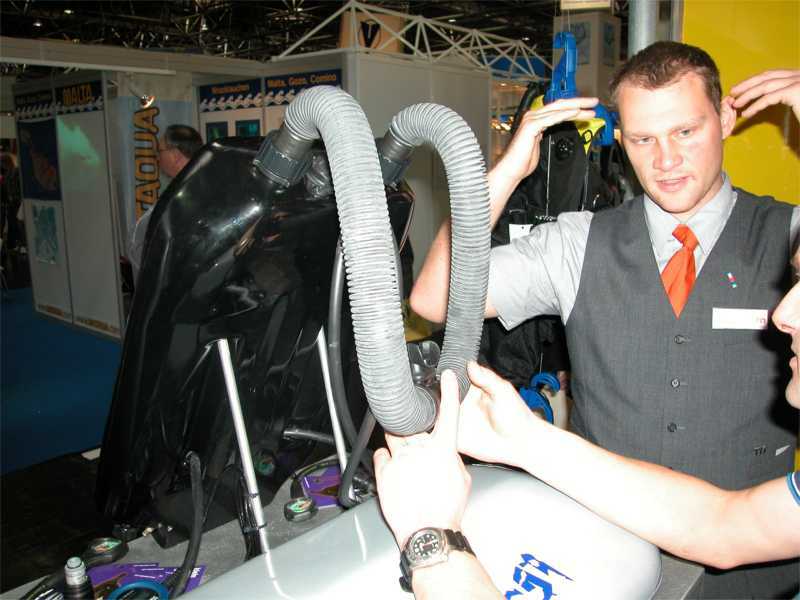 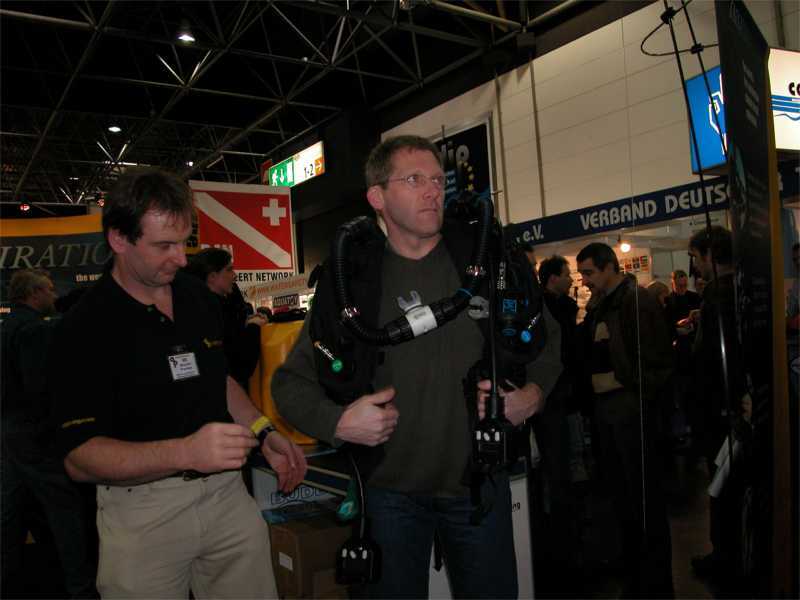 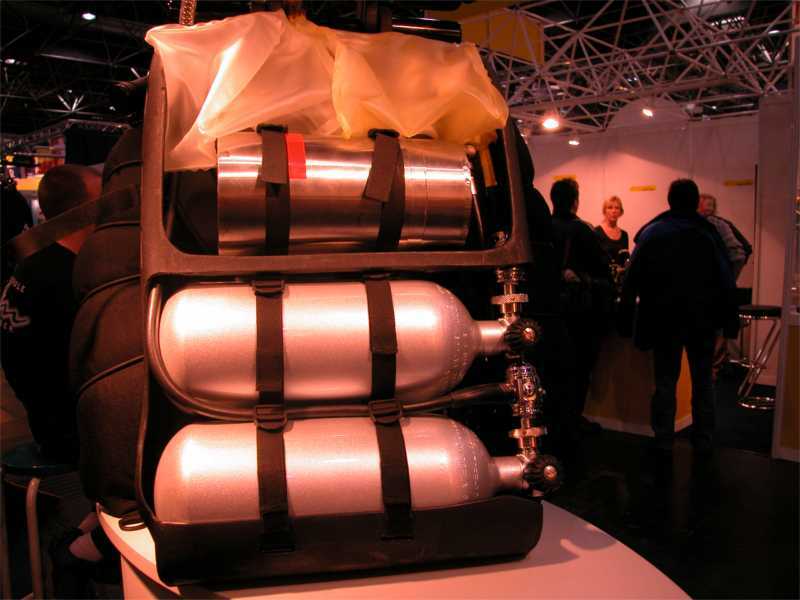 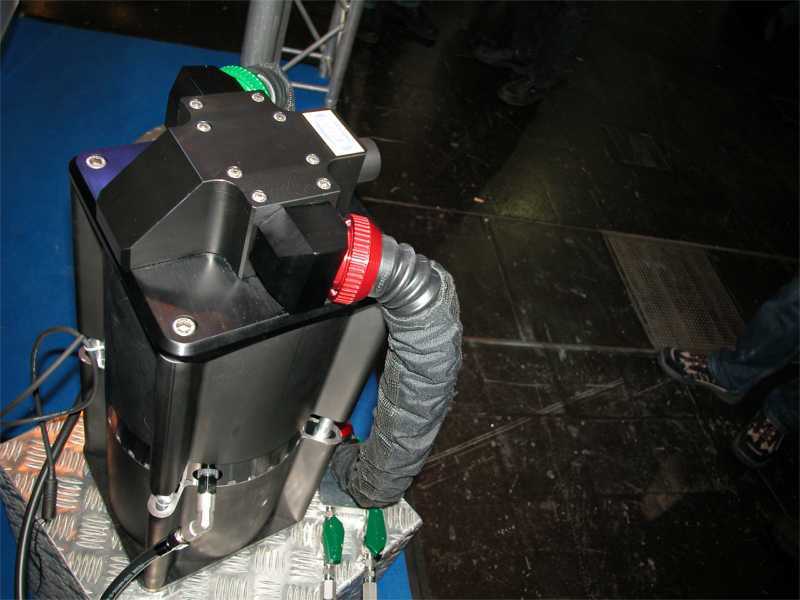 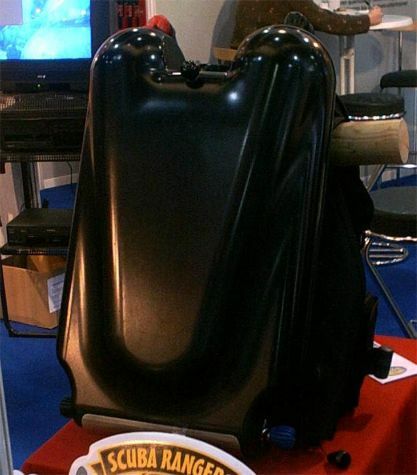 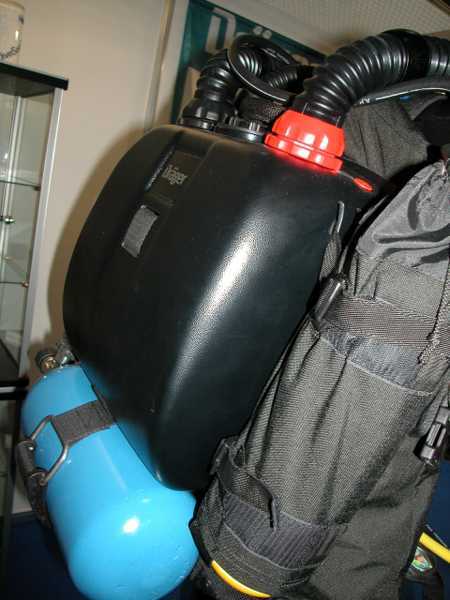 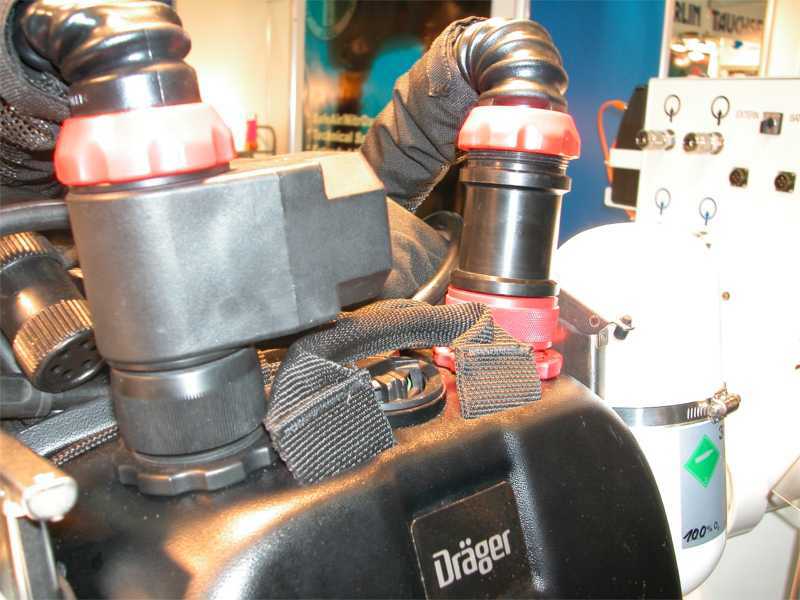 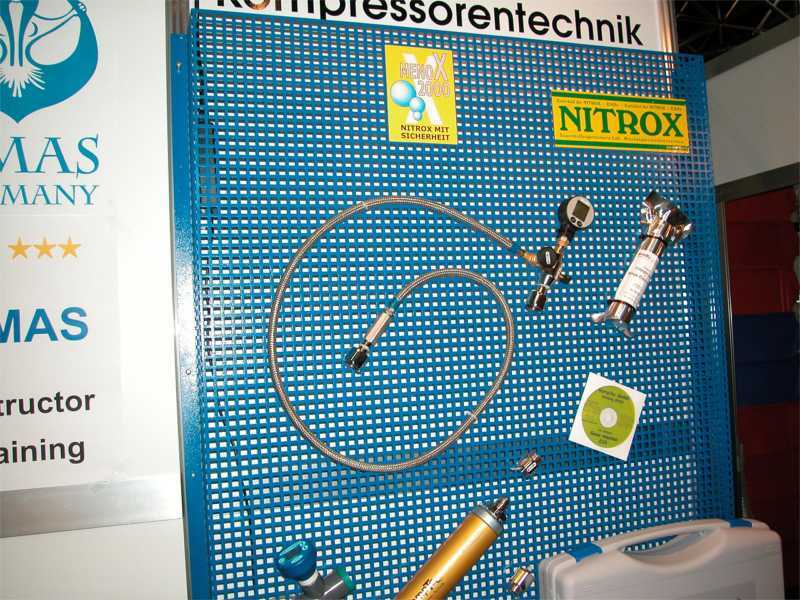 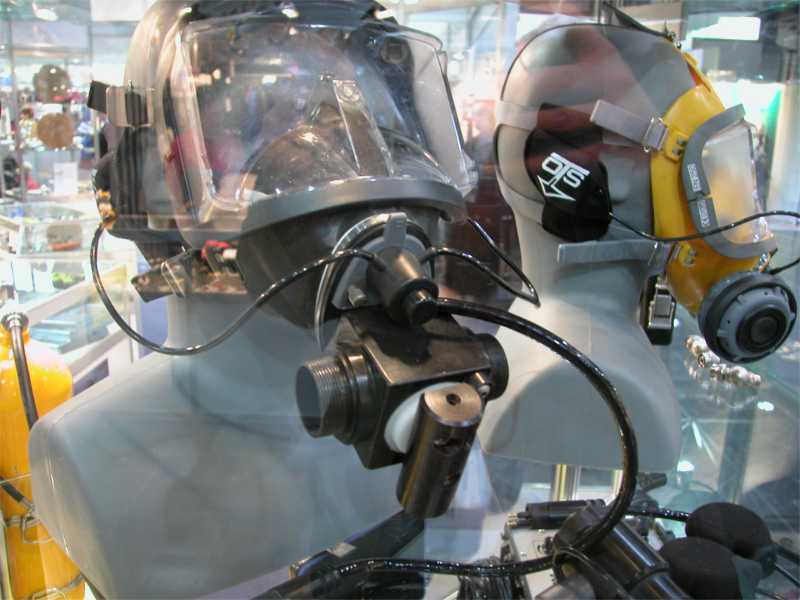 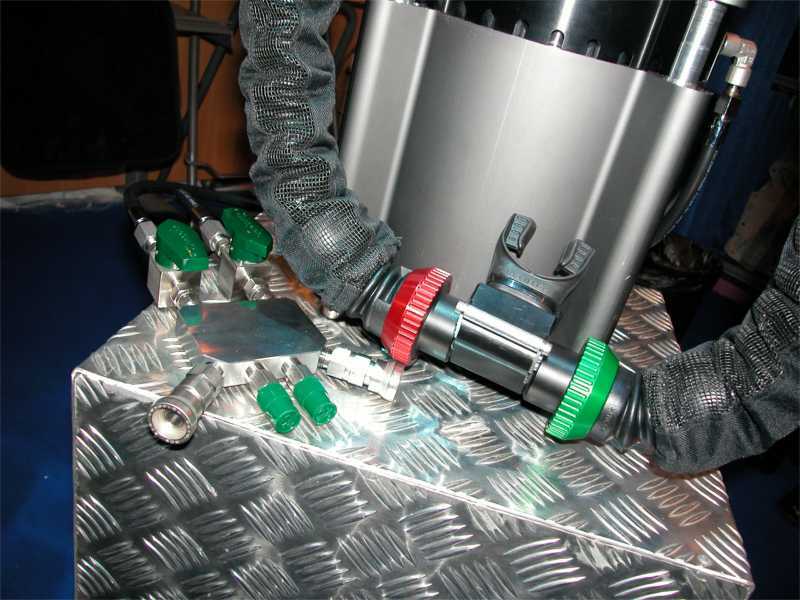 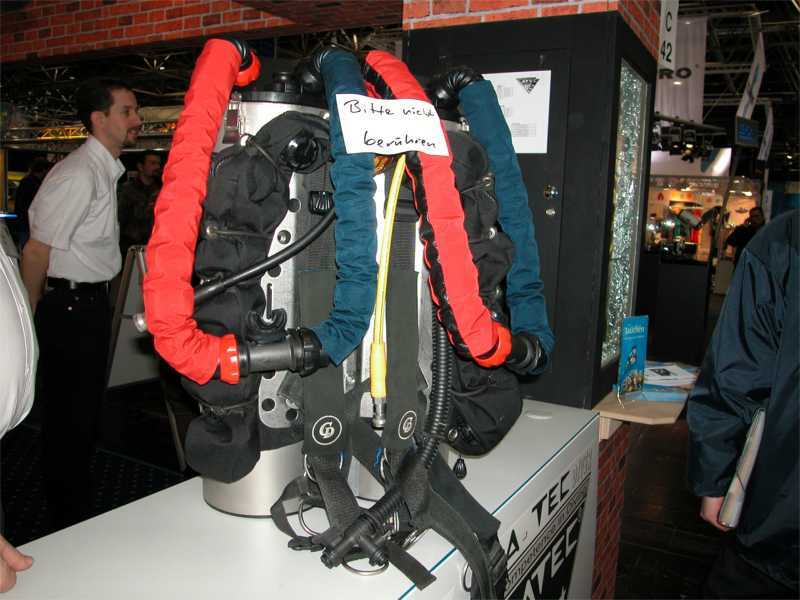 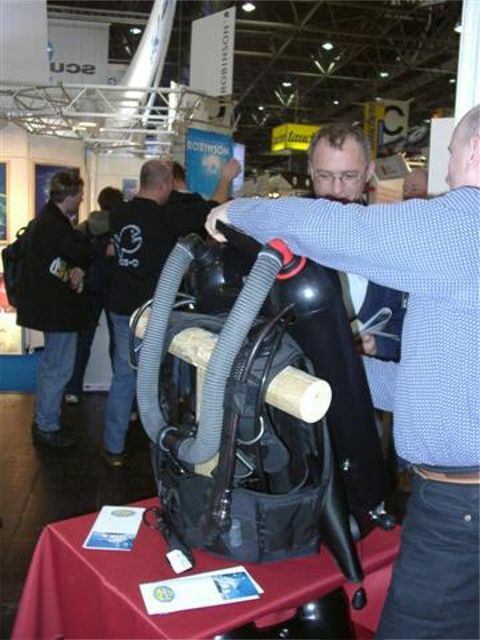 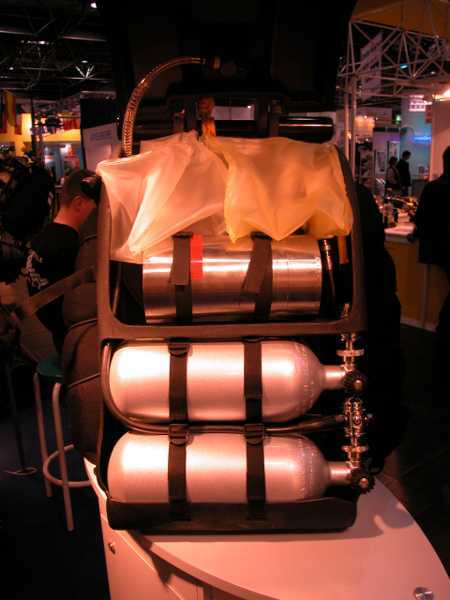 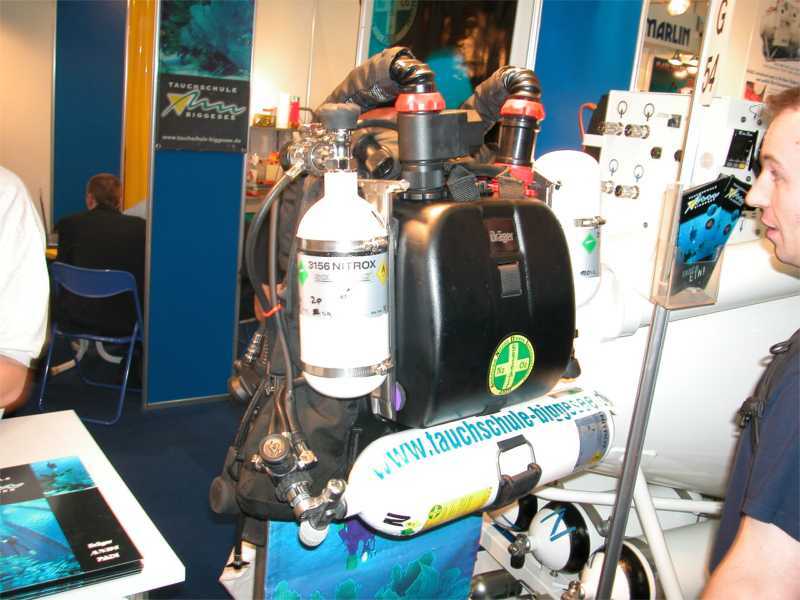 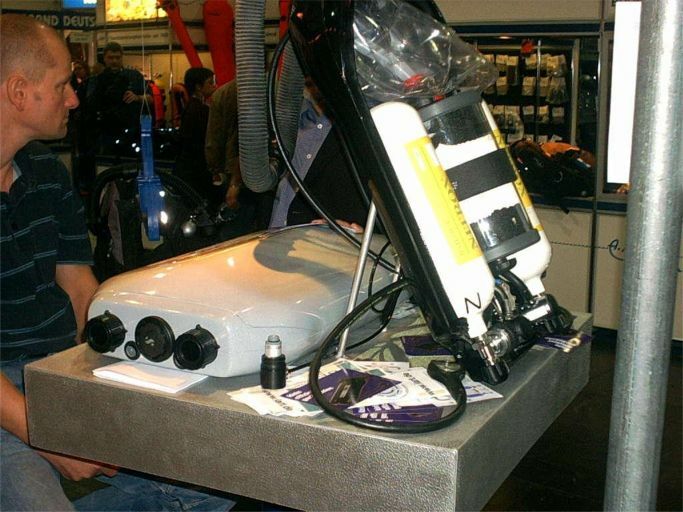 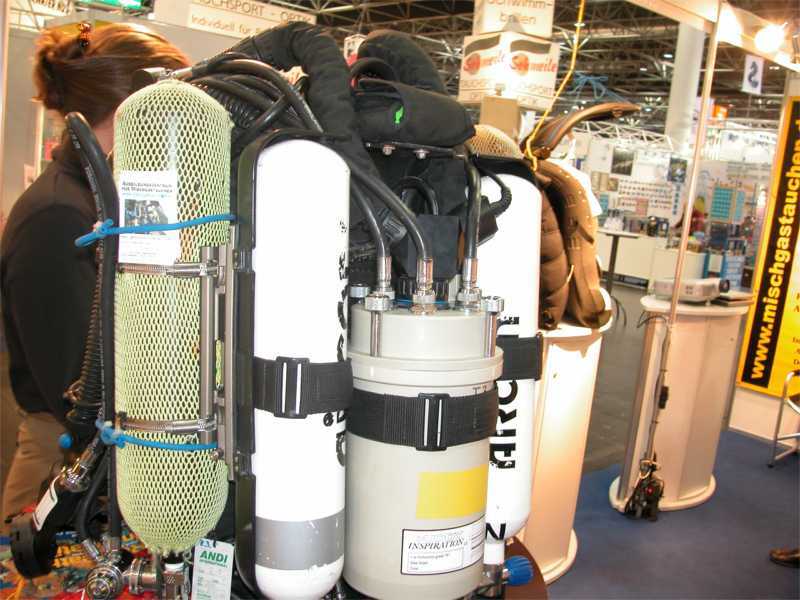 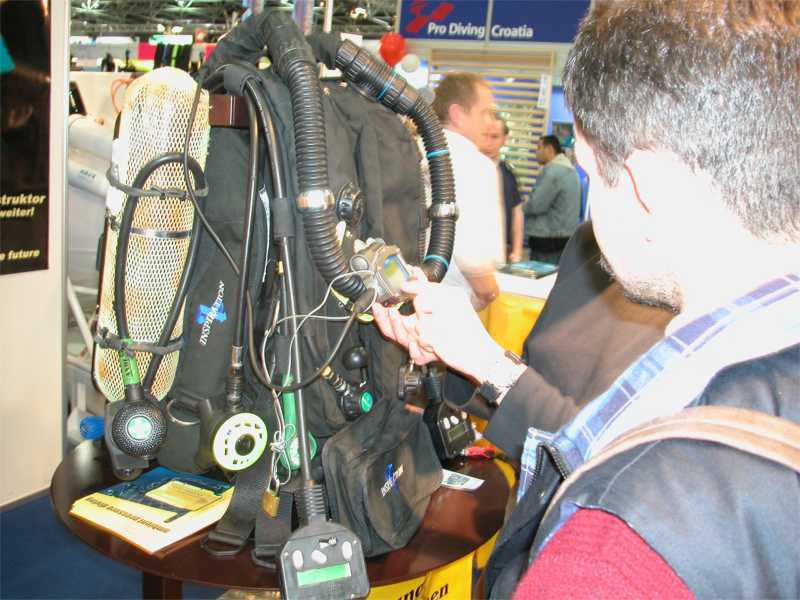 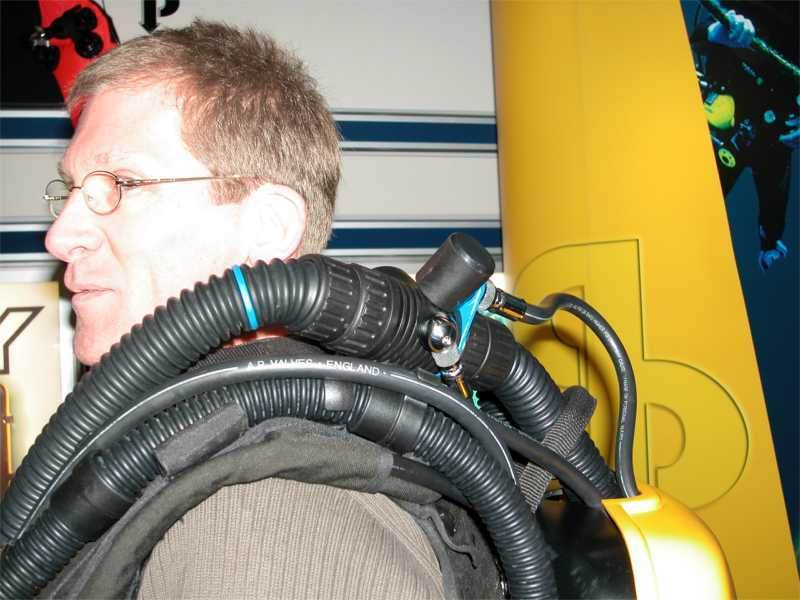 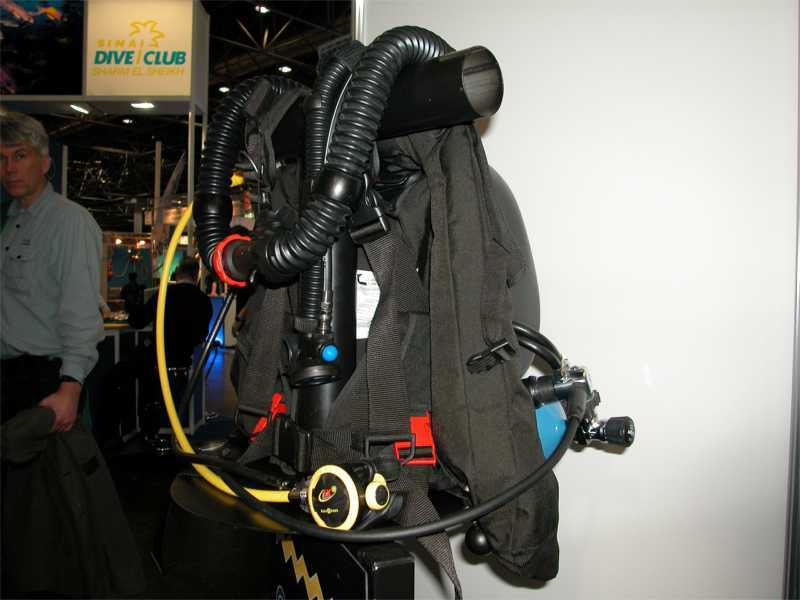 Uwe Lessmann introduced his SUBMATIX SCR 100 XT rebreather. 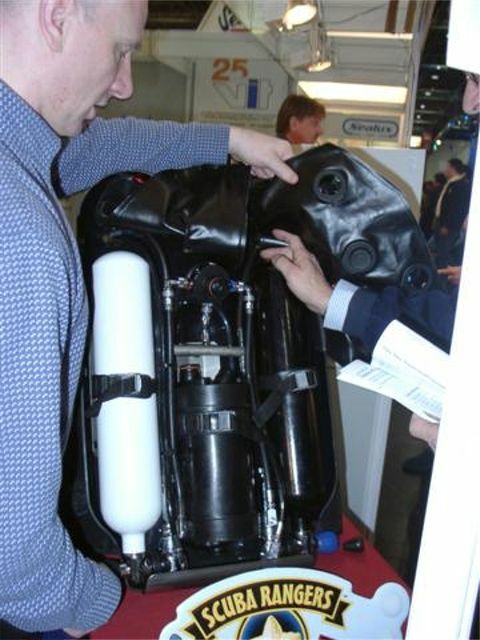 A very small, nicely design of a dual gas mix rebreather. 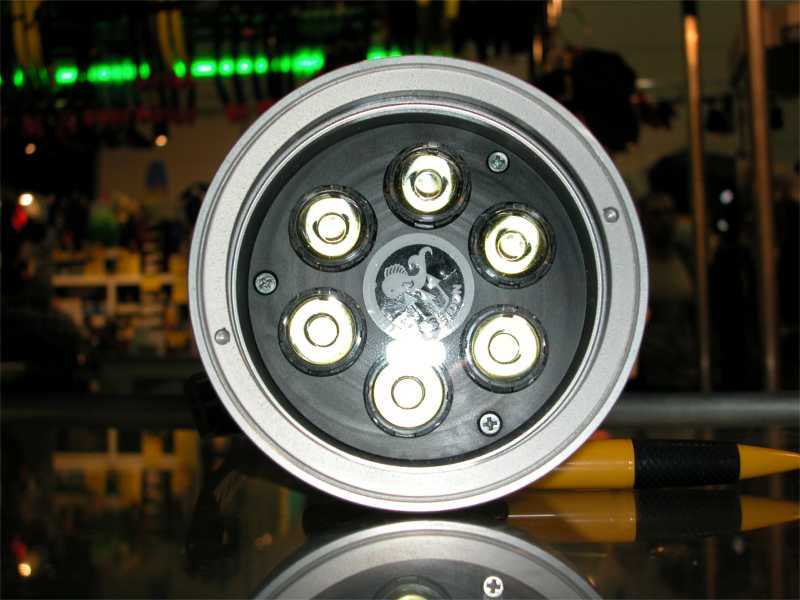 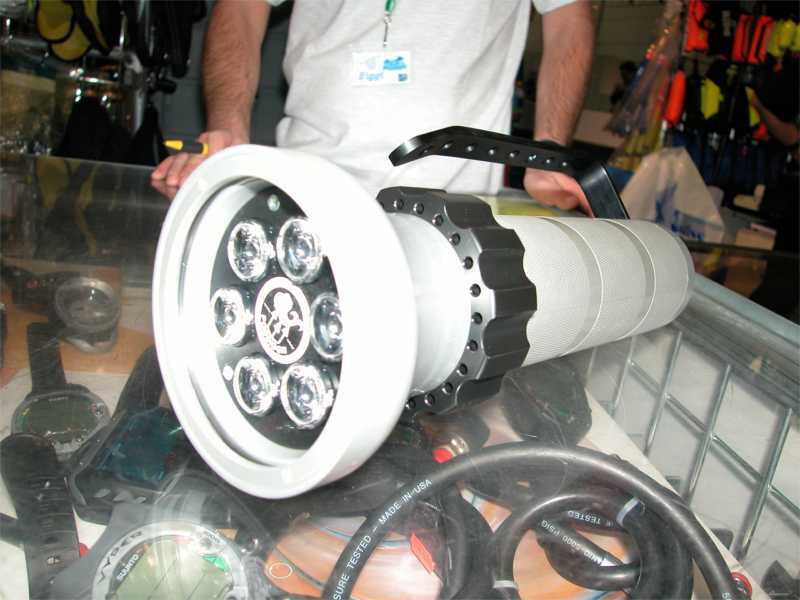 Poseidon showed there first SUPER LED lamp. 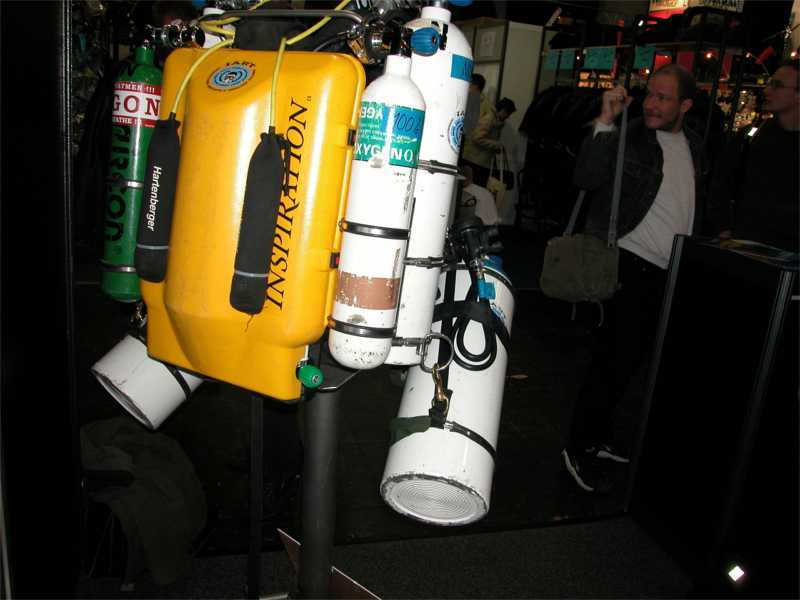 Me myself and I had a small talk with SUBAL about there NIKON COOLPIX CP5 housing. 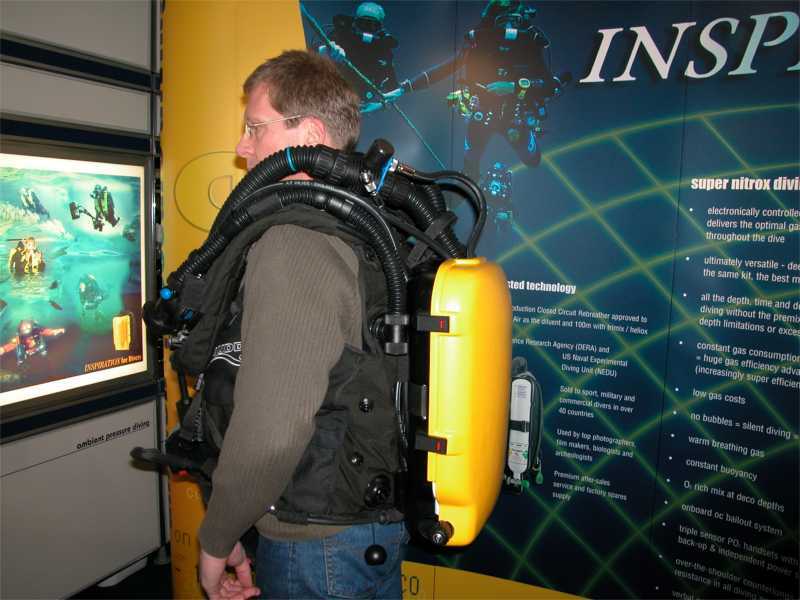 Unfortunately I do not have the means to buy this beauty now. 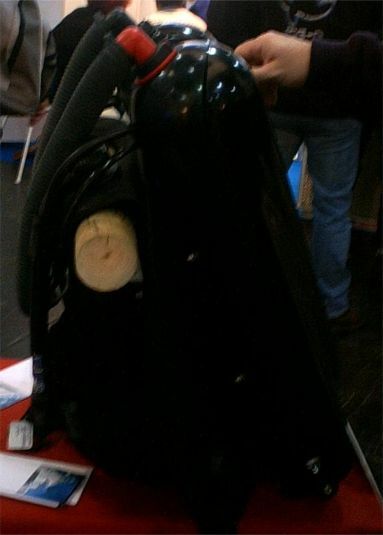 Of course you understand that I need this housing. 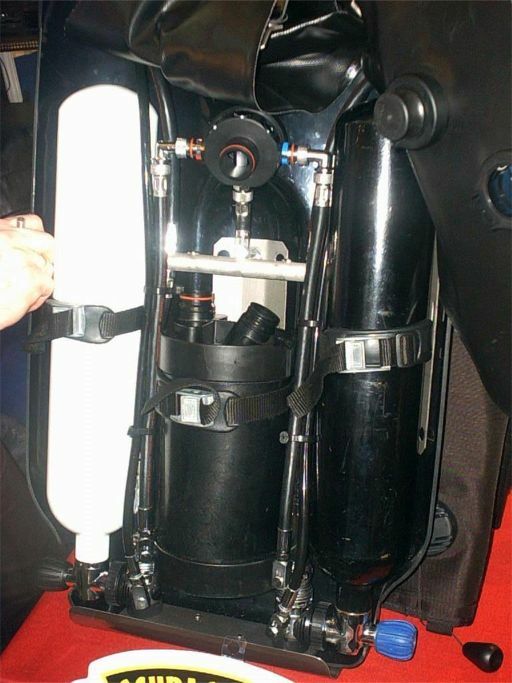 So if there are any extremely rich people out there how want to buy me this CP5 housing I can make even more beautiful pictures, please let me know. 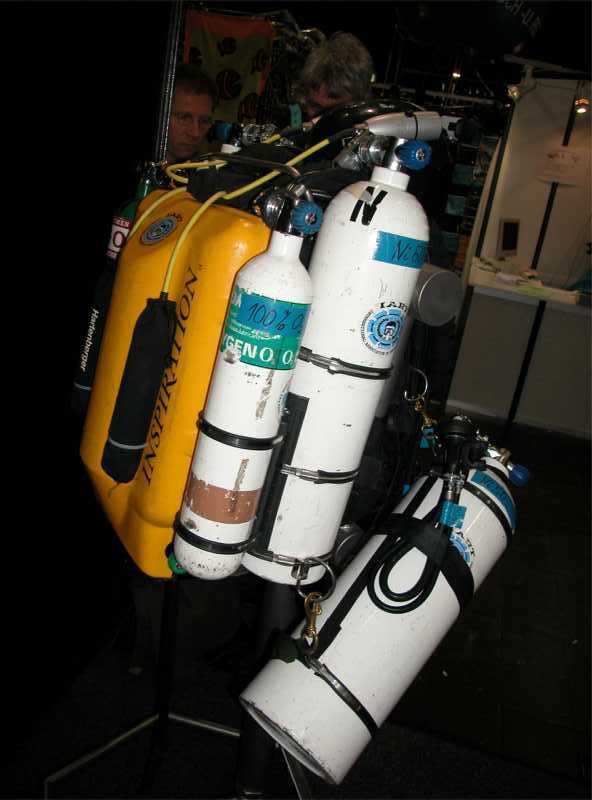 Please contact me off list for means of payment. 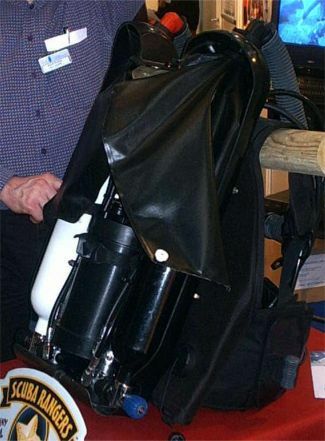 It cost only 2500 euro.